There are many financial advisors and planners in Queensland. What makes Arrow Focus on Wealth so different? Steve and Janet, the founders and Directors of Arrow Focus On Wealth, are REAL people not someone dressed in a stuffy suit behind a desk. What that means the financially sound advice offered, is based on a lifetime of real world experience combined with internationally recognised expertise. As a husband and wife team, Steve and Janet are a personable, popular couple who have experience raising children and grandchildren. They understand the unique financial needs that people like you face at every stage of life, and have the professional qualifications and experience to advise you on it. Arrow was formally started in 1999 by Steve and Janet Culpitt. 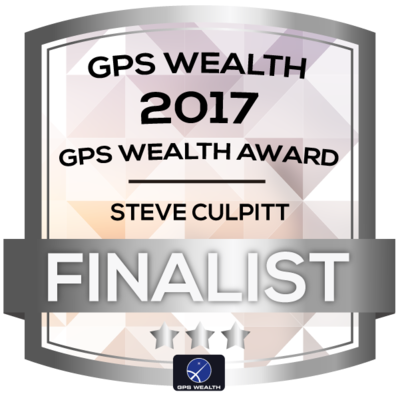 Steve has over three decades of financial planning and service experience, and is a RG146 compliant and ASIC accredited Financial Adviser and Risk Insurance Specialist. He is also an Authorised Representative of GPS Wealth Ltd (AFSL Licence 254544 and Australian Credit Licence No.254544) and a Sub Authorised Representative 270473 of Arrow who is the Corporate Authorised Representative of GPS Wealth Ltd. When Steve isn't advising you on your finances can find him either watching AFL (ideally Essendon! ), or playing golf.He has also been known to love a good Dad joke or two over a beer at the golf club. Janet brings over thirty years of experience as a Bank Manager and Financial Planner to the business.A social butterfly, Janet is a big networker and runs her own networking events on the Gold Coast. She loves supporting other business owners, and can introduce you to almost anyone on the Gold Coast. When Janet isn't managing the business or networking, you'll find her spending time with her family, relaxing on the beach and when a good song comes on, bopping away on the dance floor. Arrow Focus on Wealth was created in response to the fact that Steve and Janet felt that Australians deserved an alternative to working with big retail banks. They could both see that this scenario meant client's needs were not met in a personal manner. Being the open, warm people they are, Steve and Janet wanted to create something unique, which is when their business was born. If you're ready to experience the Arrow difference, contact us on 0755 303 500.